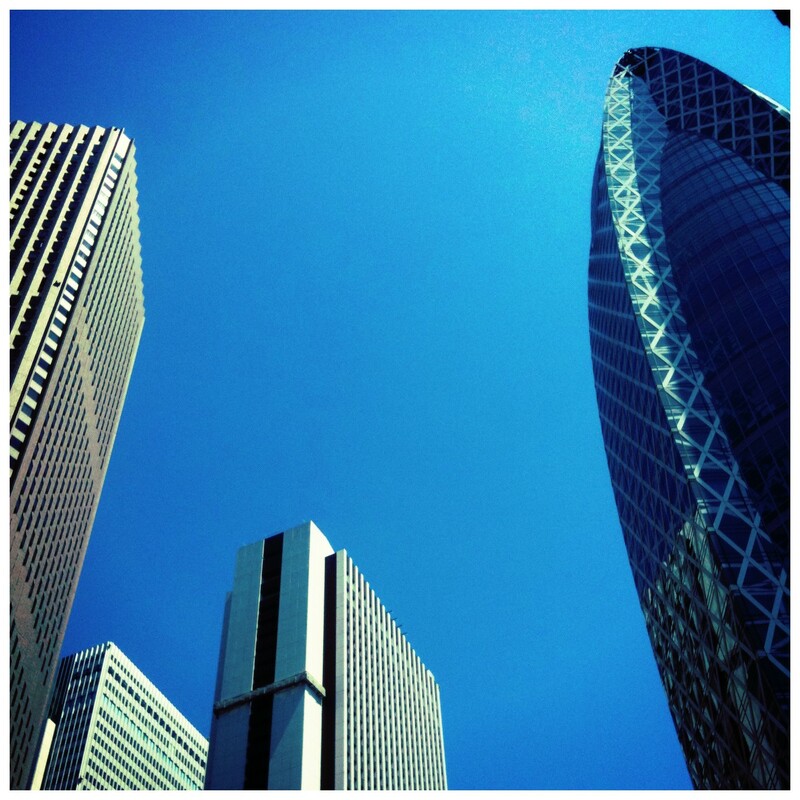 Morning in Shinjuku – Where is Naoko? I thought the blue sky and blueish buildings looked pretty cool. Shinjuku is one of the largest business / commercial districts in Tokyo.